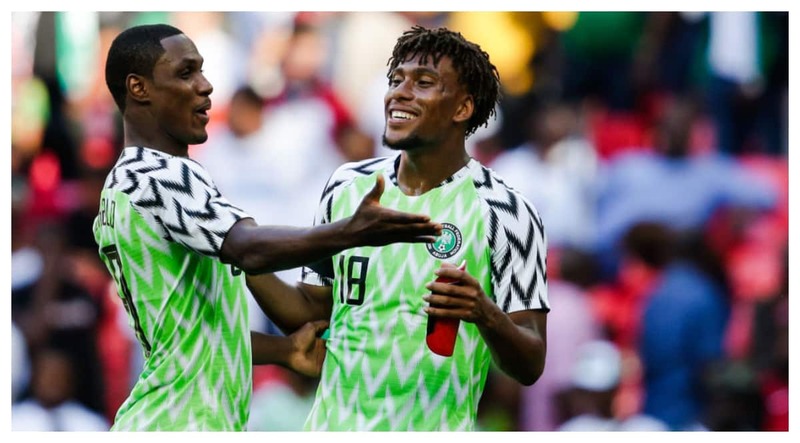 Alex Iwobi and Odion Ighalo have arrived the Super Eagles camp in Asaba, Delta state capital, for their final AFCON qualifier against the Pirates of Seychelles and their international friendly with Egypt. Other players who have hit camp include Rotherham's Semi Ajayi, Enyimba's Ikouwem Udo, U-20 defender Valentine Ozonwafor, Katsina United shot-stopper Ikechukwu Ezenwa, and Kaizer Chiefs goalie Daniel Akpeyi. Francis Uzoho, Kenneth Omeruo, Troost-Ekong, Shehu Abdullahi, Leon Balogun, Chidozie Awaziem, Wilfred Ndidi, John Ogu, Ahmed Musa, Ogehenkaro Etebo, Moses Simon, Henry Onyekuru, Paul Onuachu and Victor Osimhen are expected to join the team in Asaba. The Super Eagles have already booked their ticket to the biggest soccer fiesta in Africa after playing out a 1-1 draw against South Africa last December. Libya and Bafana Bafana will hustle for the last slot in the group as Stuart Baxter's side only need a draw to ensure qualification into the tournament slated for June. Gernot Rohr's side will take on Seychelles at the Stephen Keshi stadium in Asaba on Friday March 22, while the Egypt game will hold at the same venue on Tuesday, March 26. Meanwhile, Legit.ng had earlier reported that Super Eagles gaffer Gernot Rohr has explained that Mikel Obi asked to be left out of the squad that will face Seychelles in 2019 AFCON qualifier and a friendly tie against Egypt. Mikel Obi has not played for Nigeria since the end of the 2018 FIFA World Cup in Russia where Super Eagles failed to make it out of the Group stages.